DC Correspondent: To promote voluntary eye donation, State BJP president B.S. 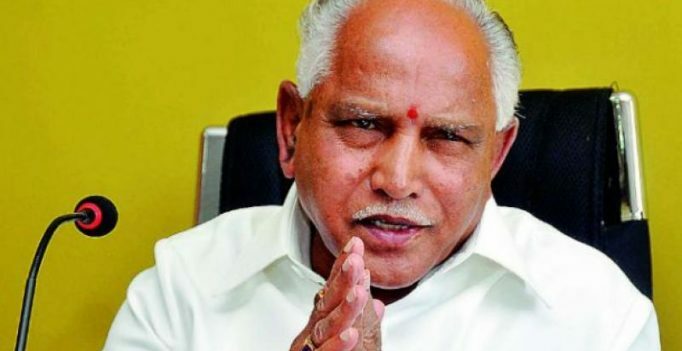 Yeddyurappa walked ‘blindfolded’ from Narayana Netralaya to the steps of ISKCON here on Sunday. “I realised what blindness is when I was blindfolded for a few minutes and was asked to walk. I strongly feel that donation of eyes must be made mandatory through law. In fact, scores of our ministers during BJP rule have donated their eyes. The blind do not need sympathy but look forward to equal opportunities. The blind are differently-abled. They can see through their inner eye what we are not able to see. Their acumen is sharp. Their calculations do not go awry. God is kind to them in some other way, which was cannot understand”, he told reporters after removing the black band tied around his eyes. Dr Bhujanga Shetty, founder chairman of Narayana Netralaya, MLC Tara Anuradha and other BJP leaders accompanied Mr Yeddyurappa blind-folded.